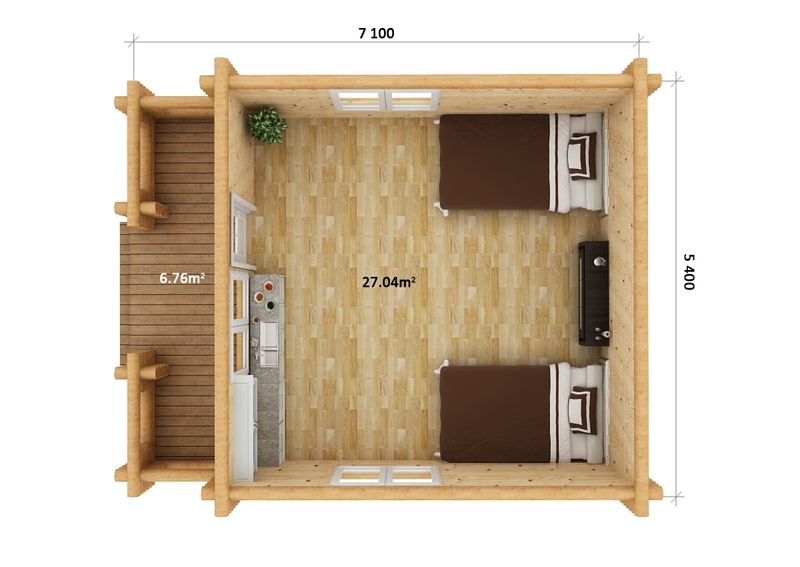 Download plans Standard model is made in 200 mm. thickness round logs and it can be delivered in flat-packs. 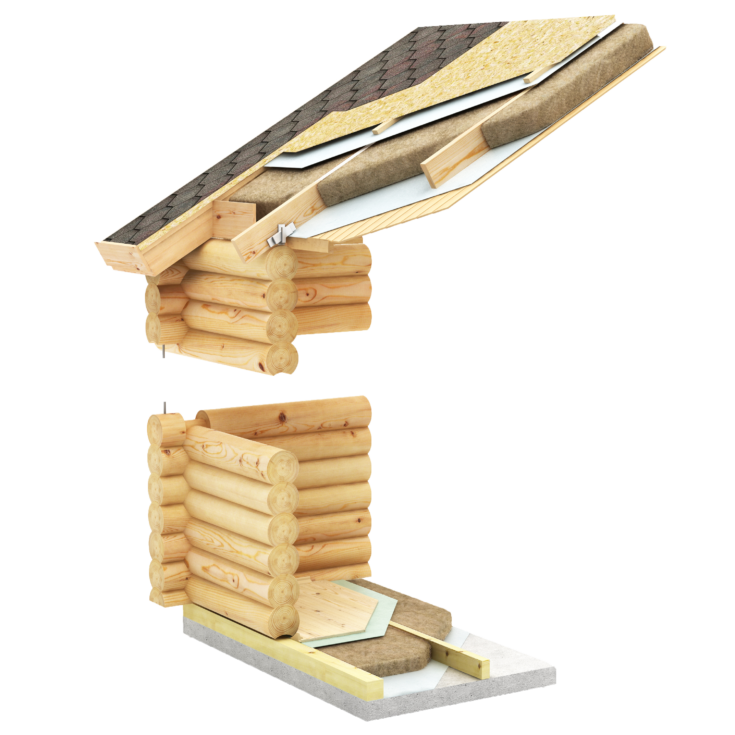 Standard kit includes: 200 mm log walls, insulated (100 mm) floor and 28 mm. floorboards/decking, double glazed wooden windows and doors, insulated (200 mm) roof with bitumen shingle cover, trimmings etc. All logs will be drilled ready for electrics.